Serving breakfast, lunch, and dinner 7 days a week in Ottawa, Roger’s Italian Bistro is a locally owned and operated restaurant that serves all your favourite Italian dishes, as well as soups, salads and appetizers, seafood, pizza, and more. 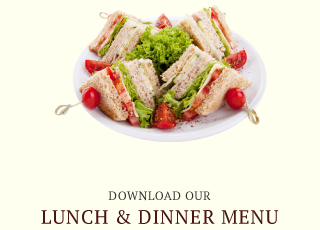 Take a look at our menu to see the full selection. 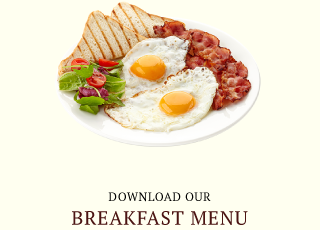 Wake up with Roger’s Italian Bistro and enjoy a hearty breakfast! We serve up fresh omelettes, pancakes, waffles, French toast, eggs, and more. Breakfast starts at 8:00 AM and is available 7 days a week. Roger’s Italian Bistro is open every day for your dining pleasure. Reservations are recommended, but not required. Too tired or busy to take time out for a sit down meal? All of our menu items are available for take-out. Call ahead for pickup. 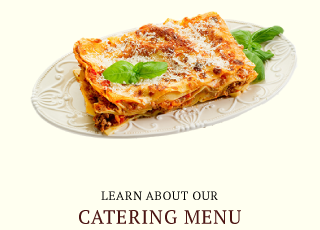 Roger’s Italian Bistro offers catering services for any kind of event. Let us take care of the details while you join in the fun with your guests. Bring along 3 or more friends and receive a complimentary $10 gift card (proper ID required). Receive updates and promotional information on the go when you like us on Facebook. Planning a special celebration? Roger’s Italian Bistro can arrange and host an unforgettable party for you and up to 50 of your friends. Contact us for more information or to book a reservation. Celebrate your Christmas party at Roger’s Italian Bistro. Reserve your space soon. We can seat up to 50 people. Whether it’s for family or your office, let Roger’s Italian Bistro host your Christmas party this year.